Let's face it: when it comes to weddings, it is all about the dress. And by dress, we don't mean your dress, that is the suit and the tie and all the other etcetera, because everyone will keep looking at your bride to be. Even if the band is repeating that song too many times, even if the bridesmaids are a bit drunk, and even if the champagne is a bit warm. It is all about her, man. So, when it comes to choosing your wedding suit, all you have to do is to sit back and relax, because you need not worry. Here are some tips that will help you in finding the suitable suit, without any stress whatsoever. If you think that you will slide by easily with a rented suit, you are so very wrong. Yes, it makes perfect sense to rent something you will wear for just a few hours and then send it to dry cleaning, but - this is not your high school prom. This is the day you will probably remember for the rest of your life and there will be pictures of you and your bride to be or future Mrs. so you must not disappoint her. The problem with rented suits is that they never, and I mean never, fit and they often look cheap. So, renting a suit is not an option. Well, now that we have settled on what you will not do, we can say Hello! to something you will. As with marriage in general, if you are not sure about it 100 per cent, do not go for it. The same goes for suits. The best option you can do for this day that is supposed to happen once in a lifetime (we are talking about the perfect circumstances) - is to spend your money on a tailored suit. Not even a million dollar suit can fit you better than a custom tailored one - so do not be afraid to make that step. The next thing you need as a foundation is to choose a fine fabric, which will depend on the time of the year and the wedding ceremony: if you are having it during the cold season, weighty wool is the right option that will make you look ship shape and serious - just the way you need. We are not asking if you are a suit man or a not-a-suit-man. This is irrelevant information for this kind of occasion. But, the thing with wedding suits is that you do not have to spend a lot of your money on them and then never wear them again. The point is to choose either a traditional or trendy look, which you will later on be able to wear in different occasions. So, after the wedding day is over, you can ditch the vest and wear the suit to work. The trick is to pair it with red, light-blue or purple knit tie in order to lighten the mood - after all, it is the colour that counts since the suit is already black (in the majority of cases). On the other hand, if you keep the vest, you can wear it during the weekend in a combination with white V-neck and black sneakers, a combination which will be perfectly open with your wedding vest. And when it comes to trousers, they can easily fly solo if you combine them with an un-tucked polo and driver in red suede. What matters, after all, is that the suit can be used with the rest of your wardrobe, so that you do not regret spending even a penny on it. 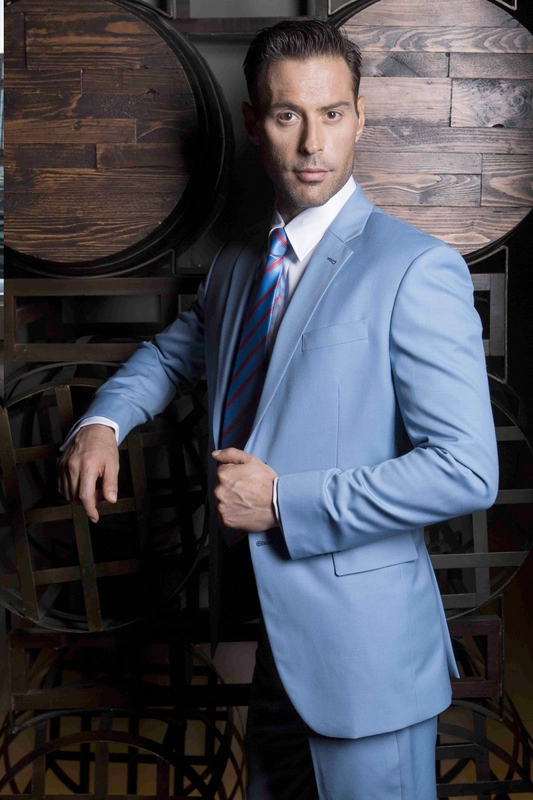 And as it was mentioned earlier, if you do not want to spend hours trying out different suits that do not fit your size, there is also the option of getting custom tailored suits, which offer you best service according to your own body size and dimensions. What can fit better than a tailored suit, right? If you have any tip or further advice on how to choose your wedding suit, do not hesitate and let us know in the comments section below - we would love to hear your opinion!